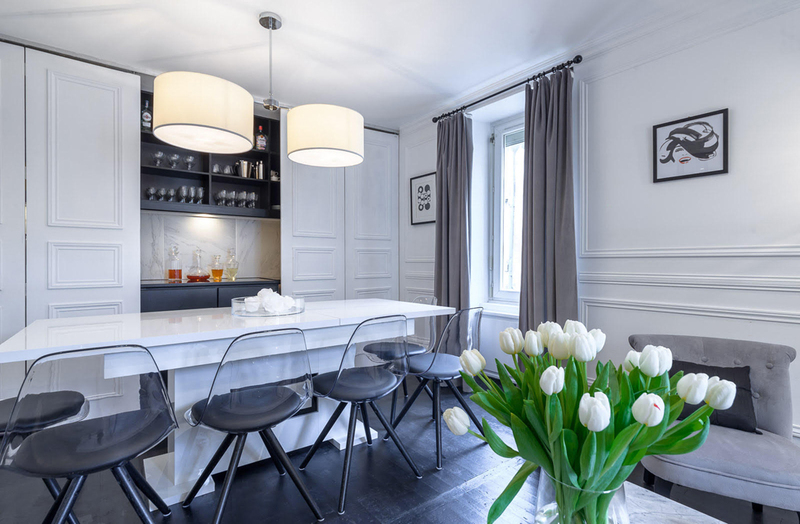 Positioned in the Jardin Public quarter of the historic centre of Cognac, south-west France, this home renovation is reminiscent of the quintessential Paris apartment. The design of the house, which dates from before 1850, was created by Sydney-based interior designer Andrew Loader Design who took on a complete “back to bones restoration” beginning with the strip out of many years of cosmetic changes. 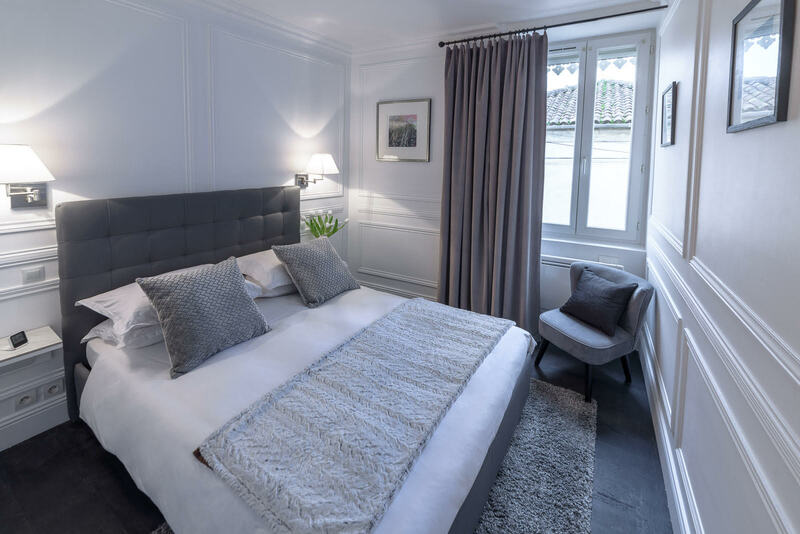 The project scope included the restoration and renovation of the entrance foyer, salon and cuisine on the ground floor in addition to the bedrooms and bathroom on the first floor. 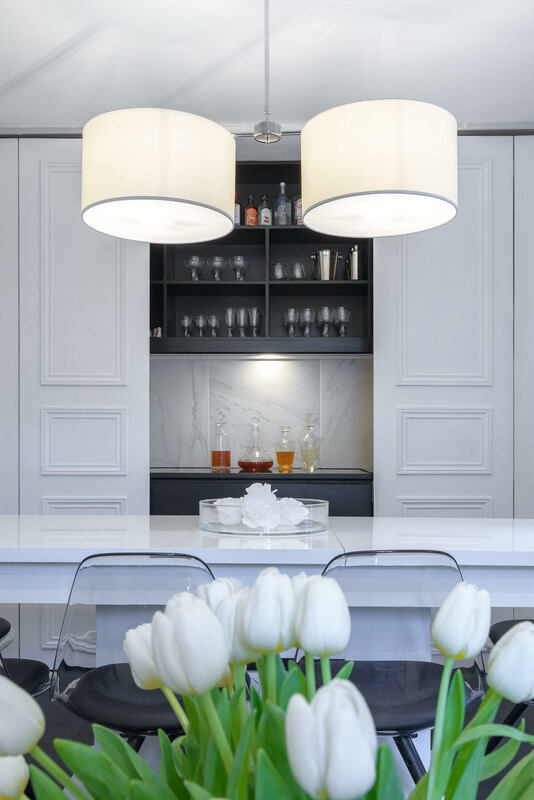 The design is characterised by typical French wall mouldings, architraves, corniches and panelled and French doors, as well as a cleverly designed hidden kitchen that incorporates a cocktail bar. The original chestnut floors were sanded and stained ebony. 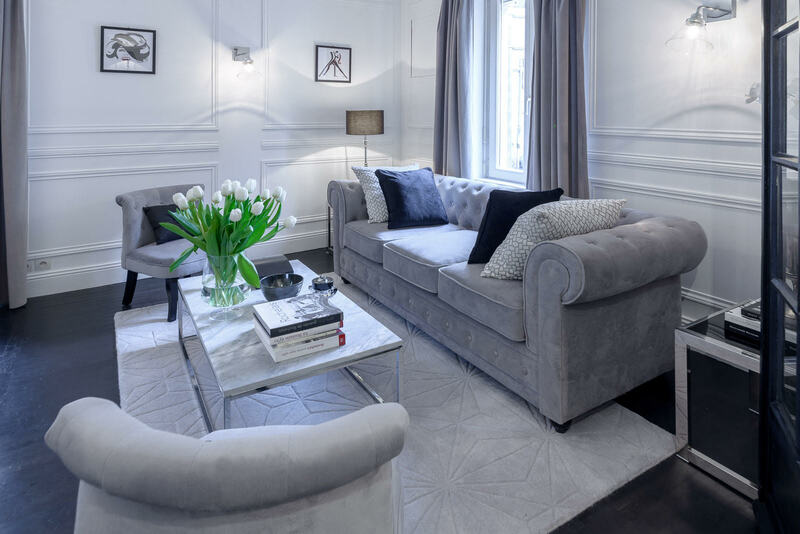 “We chose a highly light reflective white colour scheme, which is complimented by powerful impact of the ebony floors, luxurious fabrics for window drapes and furnishings, custom joinery, accessories and an interesting artworks collection including framed black and white photography,” explains Loader.